This topic was already discussed at Make Magazine but I’d like to publish my own attempt. 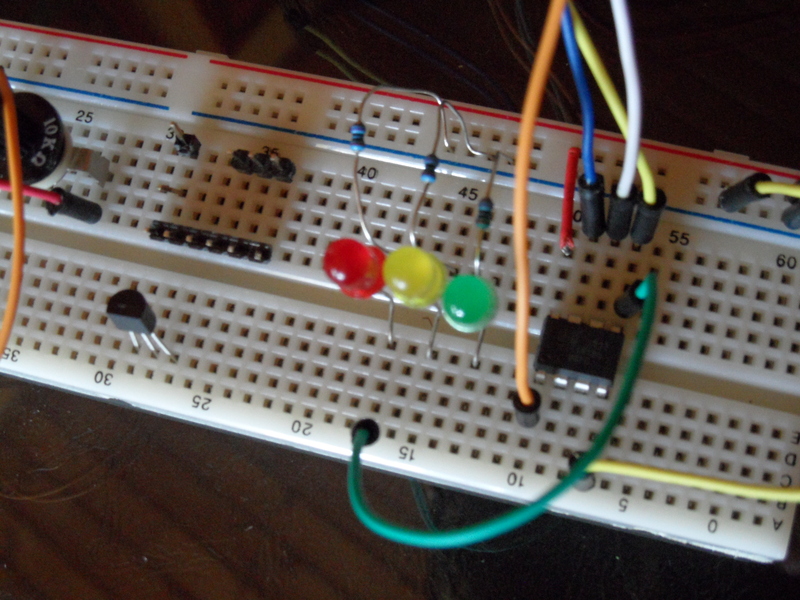 I hooked up my ATtiny85 (which I just received for my birthday) with my Arduino Duemilanove and some LEDs. I have more complex plans for the ATtiny85 so this post is only a quick test for me to see how things are working. I followed the instructions on the original project site and everything went smooth. Turns on 3 LEDs on then off, repeatedly.